EDITOR’S NOTE: This is a special guest post by Misty Schaecher, a dear friend from my high school days at Grand Island Senior High. Like nearly every kid from that era, we both worked at the Skagway store that was on the other side of the parking lot from Blessed Sacrament Catholic Church which hosted the memorial service for Sam Foltz. Misty reached out earlier this week to see if this site could use any coverage of his service. 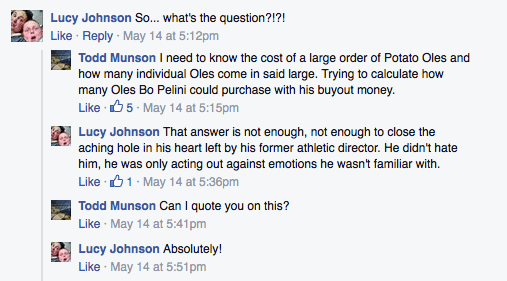 Her out-of-the-blue offer momentarily took me aback until I realized this is just another example of how Husker fans stick together in all kinds of weather. Her story and photos follow below. 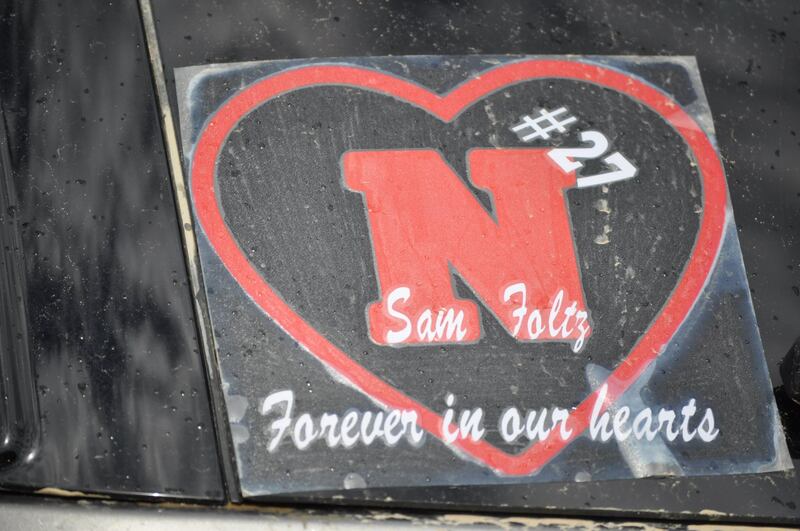 As Husker Nation descended upon Grand Island for the memorial of Sam Foltz, the air of grief was palpable. An early morning thunderstorm set the stage for this morning’s service, causing flooding throughout this small Nebraska town. 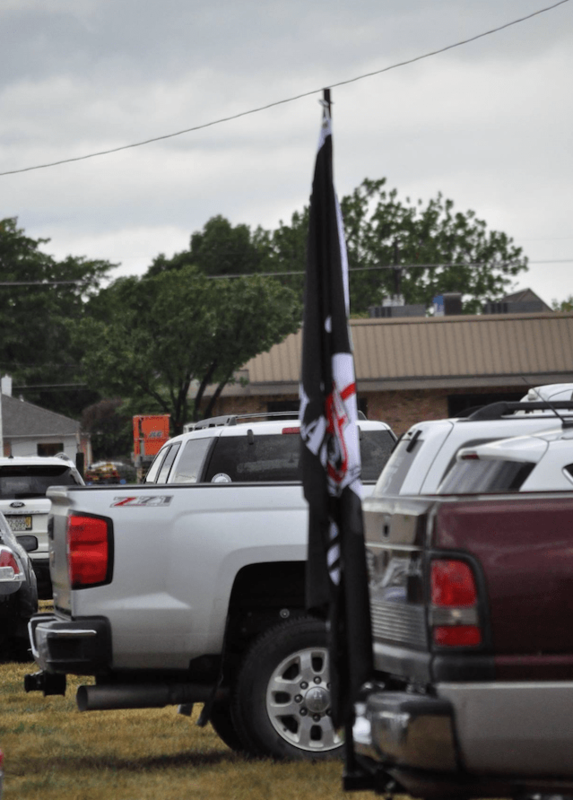 The entrance to Blessed Sacrament Catholic Church was lined with flags, family, friends, fans, teammates and coaches. When you are a part of something as great as Husker Nation, you are a part of a family that is supportive and infinitely great. Nearly 2,000 people attended the 75-minute memorial service. 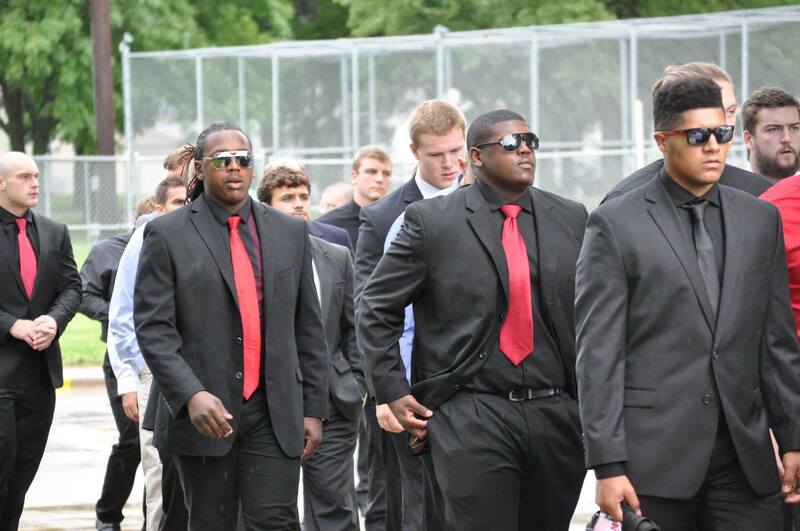 This included seven busloads of his University of Nebraska teammates and fellow students. Seven Priests and the Archdiocese Bishop presided over the ceremony where Sam’s life was celebrated. People overflowed the church, spilling into the hallways and reception hall where the ceremony was broadcast live. Not since April 18, 1996, when quarterback Brook Berringer died in a tragic plane crash, have Husker fans felt such sadness. 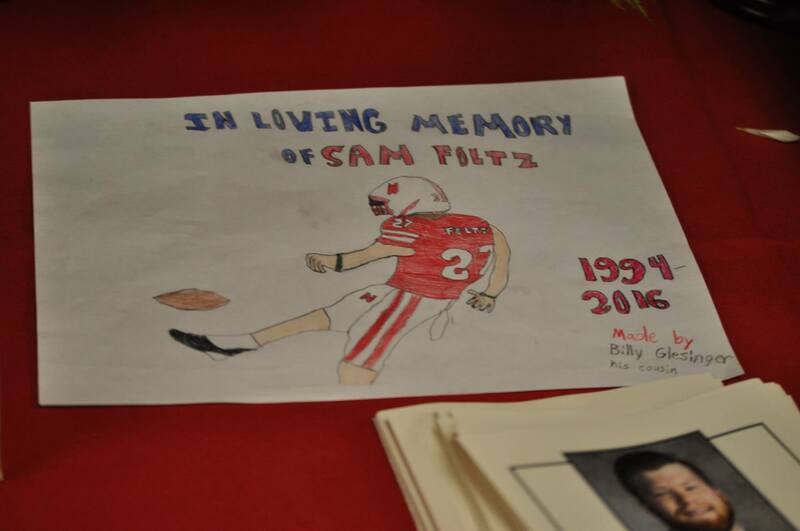 Sam Foltz was a punter, so much of the everyday hoopla of being a quarterback didn’t surround him as it did Berringer, however, his genuine kindness made him a fan favorite from the start.Sam was a true hometown hero of Grand Island. 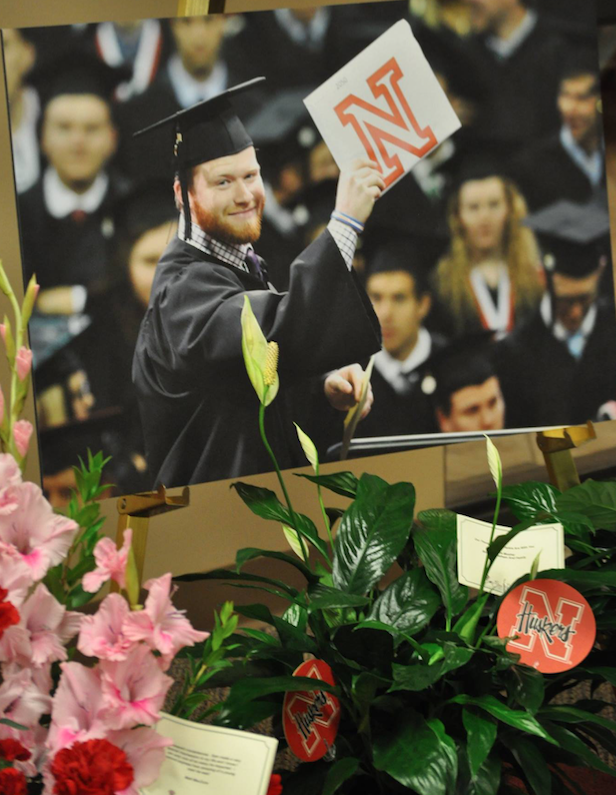 He was not only a Husker, he was also a brother, a son, a friend, and a true Islander. 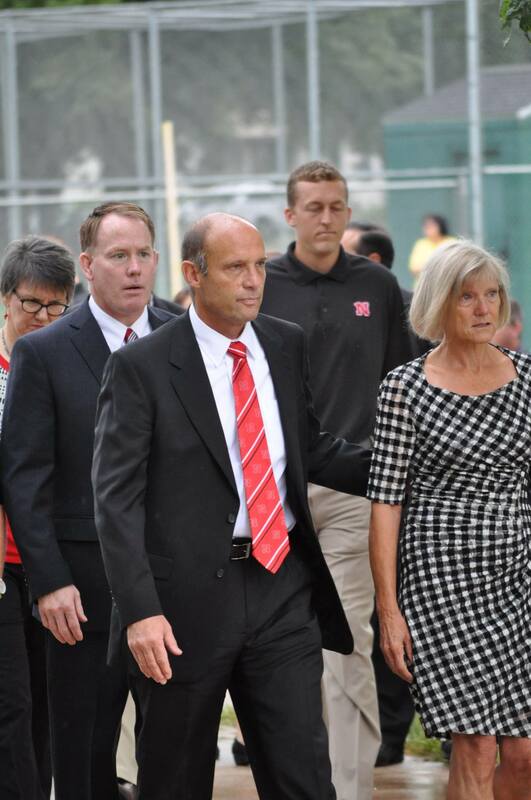 As the football season fast approaches us, Husker Nation will not be the same. There will be one less dreamer on the field this year. One less determined young man reporting to practice. One less teammate offering advice to the underclassmen. One less hero representing the town of Grand Island, Nebraska on the national stage. This fan, this town, and this state will remember you Sam Foltz and we will indeed be looking up to you. Seasons aren’t supposed to begin this way. 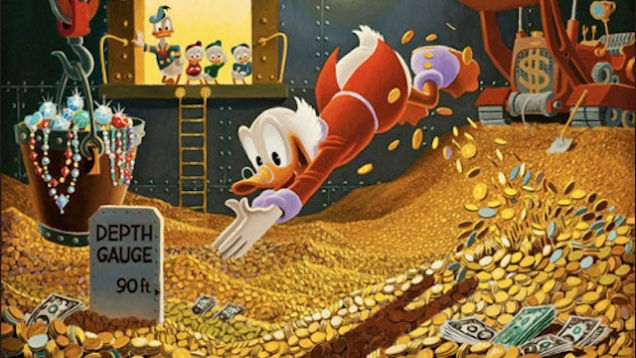 This time of year in the college football world is supposed to be nothing but unbridled hope and boundless optimism. The sky’s the limit during this wonderful transition when the dog days of summer start giving ground to the football season approaching over the horizon. It’s not supposed to be a time for a team and its fans to say goodbye to one of their most beloved players. 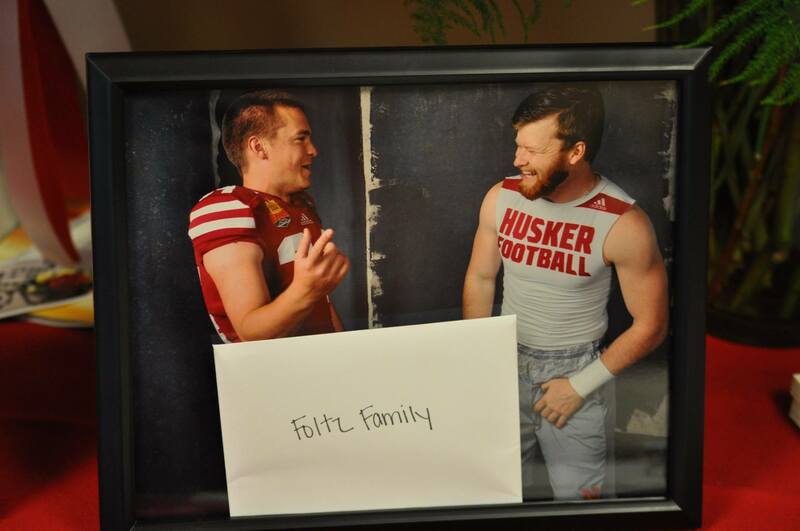 To say that Sam Foltz is the backbone of the Cornhuskers is not hyperbole. In an age of showcase camps, star ratings, and selection videos with as much production value of an average Michael Bay movie, Sam was just the latest homegrown example to prove there will always be a place on a team for someone who’s willing to get there the old-fashioned way, through hard work and sheer determination. 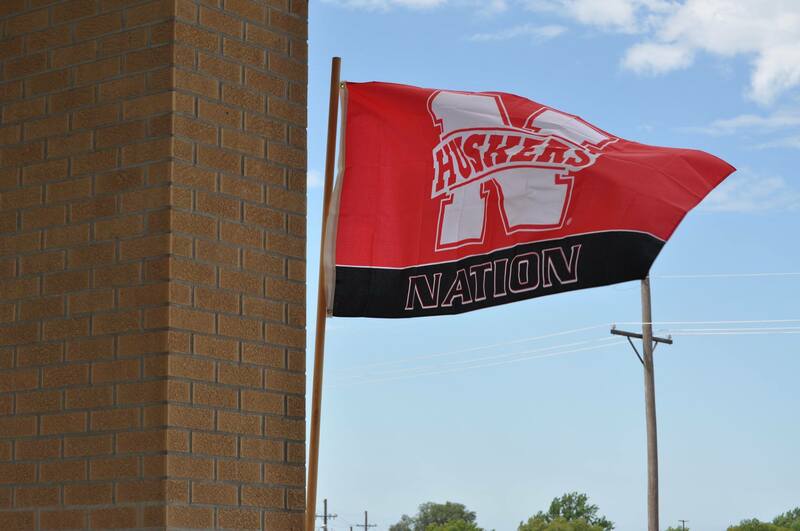 One of the biggest points of pride to being a Cornhusker fan has always been the crop of local players standing shoulder-to-shoulder with the marquee out-of-state recruits. It’s a subliminal boost of confidence that lets a Nebraska kid know that, even if he or she comes from the middle of nowhere, it’s possible to hang with with anyone no matter where you go. Those bedrock Nebraska values of humility, integrity, and an anvil solid work ethic translate to any field, be it athletic or otherwise. Sam knew this and used his role on the Huskers to continue the tradition of paying forward this inspirational quality to the next wave of Big Red faithful. I’ll never forget Sam’s first punt as a Husker. It was the 2013 season opener against Wyoming that turned into an unexpected nail biter, remember? I watched that game in Sacramento. My wife and I took a road trip up there from LA to cheer-on the Iowa Hawkeyes soccer team (my cousin was co-captain) in a game against Pacific. Husker fans being Husker fans, we have a knack for finding each other and organizing for game days so I ditched out on visiting with family in from out-of-state (they understood) to head to the local watch site. Nebraska’s first offensive drive of that game started on their own two yard line. Three plays and a false start later, a redshirt freshman named Sam Foltz jogged onto the field and boomed a punt all the way back to Wyoming’s 36 yard line. In the score book, it’s officially listed as a 56 yarder but everyone who saw it knows the ball was launched from the Huskers’ end zone. Husker fans being Husker fans, we slapped high fives for a punt and all knew right away that Sam was going to be special. And then, a little later on, we saw his ability to knock any ambitious punt returner into next week and we finally began to grasp the enormity of just how special Sam was. He was a hard nosed football player who happened to be a punter. When I put together a pump up video for this upcoming season, one thing I had to include was one of Sam’s punts. Out of the scores of highlight reels I’ve ever watched, a punter has never been included. Since this was my video, I was going to make sure a fellow Grand Island alum got a little recognition. 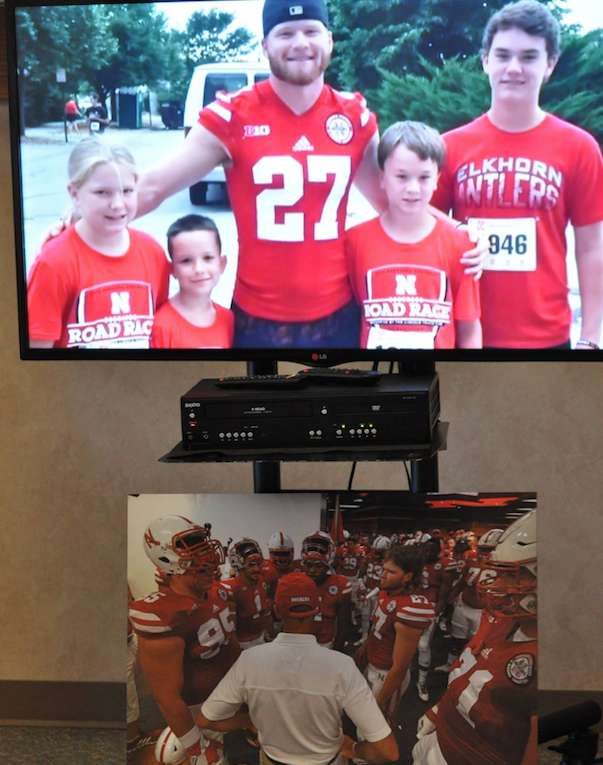 Husker fans being Husker fans, message board chatter about the video quickly became about the inclusion of Sam among the jaw dropping highlights. I was glad to see I wasn’t the only one who appreciated what his contributions meant to the team. Sam’s final punt as a Husker came the Foster Farms Bowl with about five minutes to go. 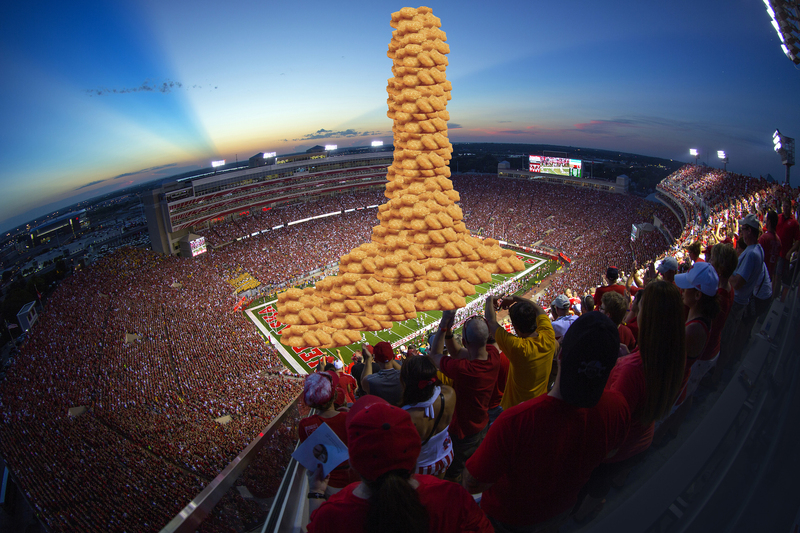 Nebraska was faced with a 4th and 23 “situation” and a surging UCLA team. Sam’s punt wasn’t his biggest but those 39 yards got the Huskers out of trouble and did their part to hold off the Bruins. I saw that punt at my brother’s house in Iowa. The last time we watched a Husker game together was at the Rose Bowl and Nebraska was playing Miami for the BCS Championship. A lot had changed in nearly 14 years but our love for the Big Red had remained constant. A player like Sam can never be replaced but we can all do our part to ensure that his legacy remains for decades to come by leading by example in our daily lives and making time for those who could use a boost of support and guidance. You don’t have to be a football player to inspire others but you can channel one’s attitude and help make a difference to those around you and in your community. Hey Ryker Fyfe, Your Dad Hated Me. Here’s a Pep Talk. We’ve never met but I’m pretty sure I saw you as a baby at least once or twice. I know that isn’t exactly grounds for feeling qualified to give someone a pep talk but bear with me. This might all make sense in a moment. You see Ryker, I was a student at good ol’ Grand Island Senior High when your dad got his career started a year or so before you were born. Can’t recall the specifics of why, but way back then, the only class he “taught” was afternoon study hall in the cafeteria. Your dad wouldn’t have been much older than you are now and he carried himself with a swagger far beyond that of someone whose job description broke down to sit in a room and make sure no one gets stabbed or pregnant. He may have also been an assistant football coach back then too but either way, as a former jock himself, he took an instant liking to the current jocks in the room. As a member of the tennis team, I was not worthy of jock status and was treated with the same disdain as the motorheads, geeks, sluts, bloods, wastoids, dweebies, and dickheads who filled the cafeteria. As one of several highly observant Grade A smart asses in the room, we didn’t take kindly to this double standard. Dude was in our world now and to us he was nothing more than fresh meat. A rookie who needed to be broken. So we let it rip with all the Barney Fife jokes and assorted heckles our 15-year-old minds could come up with. One of our favorite gags was to see who could do the most blatant impression of your dad’s pigeon-toed strut and not get busted. Oh what a fun gauntlet it was to walk up to him pretending to be him and ask for a hall pass to use the restroom. If things went a step too obvious, you’d get to see him later in detention. There’s no denying that we were huge little assholes back then but when you put a few years between things (along with some introspective and enlightening psychotherapy) it’s clear we were just slightly misguided dipshits in need of positive support and some ADHD meds. Anyway, your dad was able to welcome a few of us study hall knuckleheads to his world that summer as the head coach of our American Legion Baseball team. GI High didn’t have a team yet so that was our equivalent to getting to play high school ball. After tryouts ended and the roster was announced your dad summoned me into a dingy storage room underneath the Ryder Park grandstand. While I had made the team, he told me straight up I should never expect to play and that it might be a better use of my summer if I just quit. I told him I was just glad to be there and would be happy to contribute however I could. (Getting to the level of fitted hats and metal spikes was a goal I really wanted.) I then went home and proceeded to break some stuff. Baseball shouldn’t have even been my favorite sport but it was. My “career” got started early when my dad fudged my age so I could get a jump on the competition with a bonus year of tee-ball. He kept this ruse under wraps by also coaching the team but with my parents in middle of a nasty divorce, there were quite a few games where he intentionally forgot to pick me up. For the games that I attended, he refused to let me call him dad and didn’t acknowledge I was his son. Still, I enjoyed baseball and continued to play long after he split. It took a few seasons but I developed into a decent player. Granted, it’d take me until I was halfway to second to show any semblance of speed and my throwing motion made it clear my mom had taught me how to throw but I made up for it at the plate and played hard and mostly smart. Under your dad, I went 6 – 21 for a robust .286 (a stat I remember only because it still sticks in my craw that I didn’t hit over .300). Still, it wasn’t too shabby for someone getting an at-bat every few games. When the season ended in the playoffs, that was the last time I really interacted with your dad. Never had an actual class with him and the invite to shoot hoops in your backyard that he extended to so many others must have gotten lost in the mail. The next year I moved up to the Senior League and put together a pretty solid season. After a decade of playing, I notched my first game winning hit, coming off the bench for a 7th inning pinch hit double that earned a four paragraph write up on page 3 of the sports section of The Independent. It was one of the few times I got my name in the local paper for sports and it was a nice moment that still has a spot somewhere in my personal top 100 achievements. Ryker, when you chose the Huskers over the Lopers, it was because you believed you could play quarterback at the highest level. It doesn’t matter what the message board heroes or media have to say about how doomed the Huskers are going to be with you at the helm. You’ve been waiting years for a chance to prove your detractors wrong and it has finally arrived. When you take the field tomorrow, the only person who needs to believe in you is you. 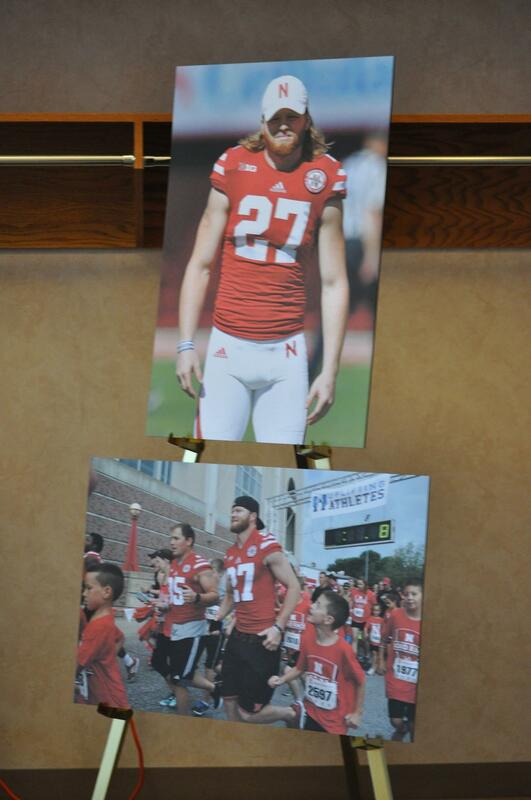 Go out there and have fun, live your dream, lead the Huskers to a win, and get your name in the paper. You got this, buddy. GBR. The phone rang far too early for a Saturday morning. Whoever was on the other end of the line was calling with something urgent. After a couple of tense rings, my mother answered and walked out of the kitchen (and earshot) in one continuous motion. The phone’s cord crinkled and snapped as it untangled itself and stretched behind her. With Caller ID still an innovation of the far off future, I had no idea who she was speaking to. The over-sized ears my head had yet to grow into were no help. All they could make out were muffled responses that were short and to the point. After what seemed like forever, my mom returned the kitchen. Her palm smothered the phone’s handset. Whatever she was about to say was going to be important. My brain could barely processes what it was hearing. You told him you’d ask me? Why, that’s more ridiculous than asking someone if they’d like to have a winning lottery ticket. I jumped out of my seat at the kitchen table so fast I knocked over my box of Apple Jacks and got to the phone before any skipped across the floor. I yanked it from my mom’s hand with more commitment than a purse snatcher and escaped to the privacy of my bedroom. In the span of 30 seconds, maybe a minute tops, my life had changed. After 12 long years of watching from afar, I was finally going in. I was suddenly mere hours away from joining the Sea of Red. 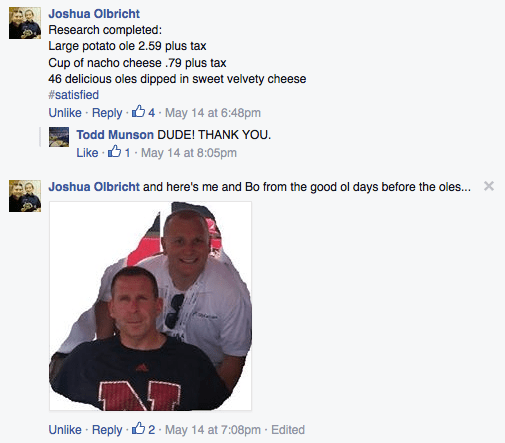 In my dad’s hierarchy of recreation, going to Husker games was at the very top. Sure, we watched and listened to a lot of games during eight years of sporadic weekend visits but they were all road games. If the Huskers were playing in Lincoln, he was there. The closest I would get to Memorial Stadium would be rescuing a weeks-old program from its new life as a drink coaster or a getting a Herbie Husker t-shirt that I had outgrown by the time he remembered to give it to me. According to Google, it is a 14 minute, 9.1 mile drive from our old house in Grand Island to the exotic rendezvous point at the parking lot of the hotel formerly known at the Interstate Holiday Inn. We might as well have been traveling to the other side of the Earth. I spent the drive anxiously checking my digital Timex and fighting the urge to get out and run. There was no way we could be late. We pulled in with five minutes to spare. An hour and a half later, my mother made the painfully obvious observation that it doesn’t take that long to drive over from Kearney. “Maybe he forgot the tickets and had to go back,” I offered as a perfectly reasonable explanation. Making excuses for the guy came easy, especially when it came to matters of punctuality. A few minutes later, a big red Cadillac Coupe de Ville glided up next to us. My dad had finally arrived and there he was in all his glory, hanging out the passenger side door. “Gooooooooo Biiiiiiiiiiiiig Red!” he yelled. It was still morning and he was already drunk. My mom looked over to me, shrugged, and told me to have a good time. What can I say? It was the 80s. And before you get all indignant, my mom did check to make sure my dad’s latest girlfriend wasn’t drinking while behind the wheel. I jumped in and she punched it. Riding in the back with me was one of my dad’s buddies who I’d never met before. He was grandpa old and was apparently a legend in the world of horse racing- my dad’s second favorite past time. Dad’s new squeeze was a school teacher, a detail that sent my head spinning. If teachers were supposed to be boring, this one broke the mold. We flew down I-80, slowing just long enough for my dad to flirt with a carload of girls bound for the game and hand them a few beers at 60 miles per hour. Our only pit stop was when a Nebraska State Trooper decided the teacher was going a little too fast. She was written up for speeding we were on our way. Back then, it was way out of the trooper’s jurisdiction to even suggest that we put on our seat belts or that drinking while in a moving vehicle probably wasn’t the best idea. Not long after the capitol came into view, we arrived at one of Bob Kerrey’s restaurants. I’m pretty sure it had a name but it will be forever seared into my head as Bob Kerrey’s because that’s all my dad was talking about on our final approach into Lincoln. But there was no time for onion rings. Kickoff wasn’t far away so we immediately boarded a shuttle bus and headed for the cathedral that is Memorial Stadium. It was an incredible sight. I’d never seen it up close and I was in awe to be standing in its shadow. The buzz outside the stadium was off the charts and the band was already rocking on the inside. We’re talking total sensory overload. Suddenly, my dad spoke with more confidence than the world’s best ketchup popsicle salesman. He quickly dispersed the tickets. He and the horse racing legend would be over in the East Stadium straddling the 50 yard line. Meanwhile, the teacher and I were cast off to the South Stadium, 90 or so rows up. My dad was taking me to my very first Husker game and the guy wasn’t even going to sit with me, or the woman he was dating. This came as a bit of a surprise but before a word could be said in protest, he and the horse racing legend vanished into the crowd. There wasn’t much we could do other than go find our seats. Looking back, I’m glad I was too young to fully realize the awkwardness of the situation. It had to be as subtle as getting blindsided by Broderick Thomas who was somewhere down on there among all the tiny red specks dotting the AstroTurf. The teacher and I made the best of it up in the stratosphere. Luckily, my mom knew well enough to give me some money just in case which spared the embarrassment of asking a one day acquaintance for a small loan to buy a Runza and warm Coke. Once the game got going, a fan next to us let me look through his binoculars and pointed out Steve Taylor, Ken Clark, Dana Brinson, and even Tom Osborne as he roamed the sideline. 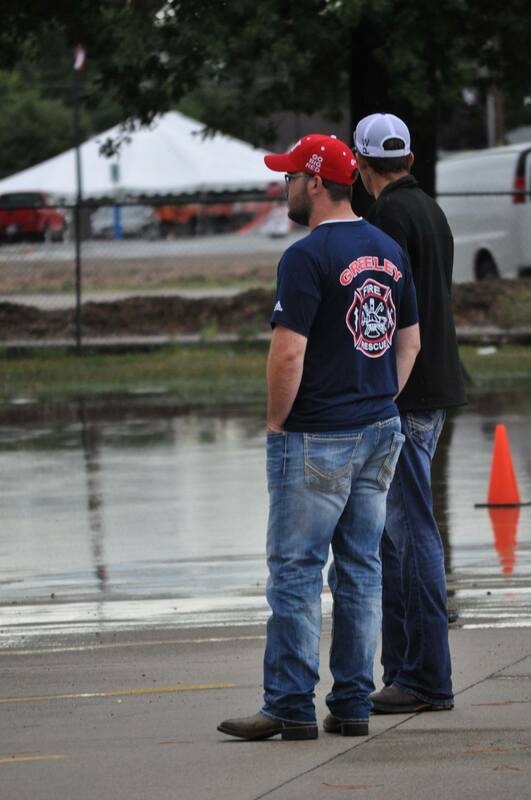 These were guys I’d only ever heard about and saw on TV and there they were barely a quarter mile away. The teacher used the binoculars to spot her parents in her family’s longtime seats in the West Stadium. When I suggested we go over and say hello at halftime, she politely declined. Utah State was no match for Nebraska. The game quickly turned into a rout and the Huskers scored just about every time they touched the ball. By the fourth quarter, enough fans had cleared out that we moved close enough to the action to hear Mickey Joseph bark out orders when he came in for mop up duty. After the final whistle, we made our way back to the rally point. It had been a long game but I couldn’t wait to talk about it with my dad. He and the horse racing legend were nowhere to be found. We waited as long as we could and before we had no choice but to take the last shuttle back to Bob Kerrey’s place. Before grabbing her car to continue the search, we popped in to use the restroom. We were barely inside when a familiar voice yelled out. It was my dad. He and the horse racing legend were kicking it in a booth. The table was littered with food and they clung to their Bloody Marys as if they were the only thing that could keep them marginally upright. Somehow, someway, the teacher kept it together and didn’t blow a fuse. The rage was there, and justifiably so, but she kept it in check. Maybe years of teaching gave her superhuman powers or perhaps she just knew it was futile to argue with someone who no longer had enough motor skill to eat an onion ring. Even crawling at the speed limit, the ride home was quick. My dad and the horse racing legend both passed out the moment they got in the car and melted into the velour seats. The teacher and I made small talk about what was in-store for our respective school weeks but otherwise we kept the chatter to minimum. Grand Island was a small enough town that I was able to guide her back to our house no problem. When she brought the Caddy to a stop in front of it, my dad snapped awake. I grabbed it and ran towards our house. The porch light flipped on before I reached the sidewalk. We never made it back for another game. Dads, you only get one chance to take your kid to their first Husker game. Don’t mess it up.